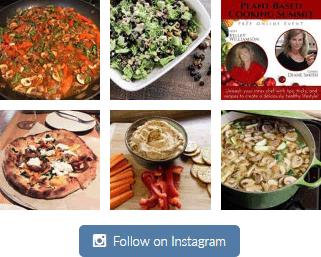 Home » Can You Raise Healthy Kids on a Plant-Based Diet? 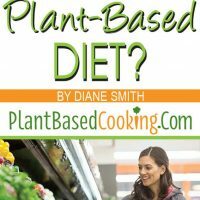 Whether you’re new to a whole food plant-based diet or have been whole food plant-based for a long time, you may have some questions and concerns when it comes to raising plant-based kids. After all, the dietary wisdom we’ve inherited as a culture – which is advanced by numerous nutrition policy recommendations – is that kids must have dairy products such as milk and cheese to ensure they get enough calcium and that they need meat, fish, and poultry to meet their protein and other dietary requirements. Well, you’ll be glad to know that this pro-animal-product advice amounts to little more than outdated rubbish. These time-honored recommendations are just nutritional myths, and we have the science to prove it. When it comes to kids and calcium, for instance, a 2005 review of 37 studies on the effects of dairy products and calcium supplementation on kids and adolescents published in the journal “Pediatrics” found “scant evidence” that either calcium source promoted bone health. “Therefore, in clinical, longitudinal, retrospective, and cross-sectional studies, neither increased consumption of dairy products, specifically, nor total dietary calcium consumption has shown even a modestly consistent benefit for child or young adult bone health,” the authors wrote. Another study monitored the dietary and exercise habits of teenage girls and found that consumption of dairy and calcium did nothing to prevent stress fractures in the girls. Keep in mind that this isn’t popular belief or wishful thinking – this is peer-reviewed scientific research that meets the rigorous standards of mainstream medicine. That oughta’ reassure you and maybe even convince your most stubbornly skeptical friend or family member! According to Dr. John McDougall, the most intense growth period for a child and hence the highest demand for protein is from birth to two years. Breastmilk, he says, is the very best food for youngsters during this period. Pay attention, he says: breastmilk is only 5 percent protein out of total calories. Why is this important? 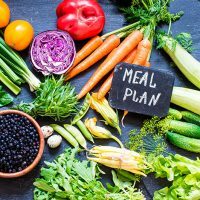 Well if 5 percent protein is enough to sustain healthy growth during the most significant growth spurt in a child’s life, it becomes obvious that many plant-foods will provide more than adequate protein levels for the rest of childhood. “Consider that sweet potatoes are 6%, rice 8%, potatoes 10%, and beans 28% protein,” he states. 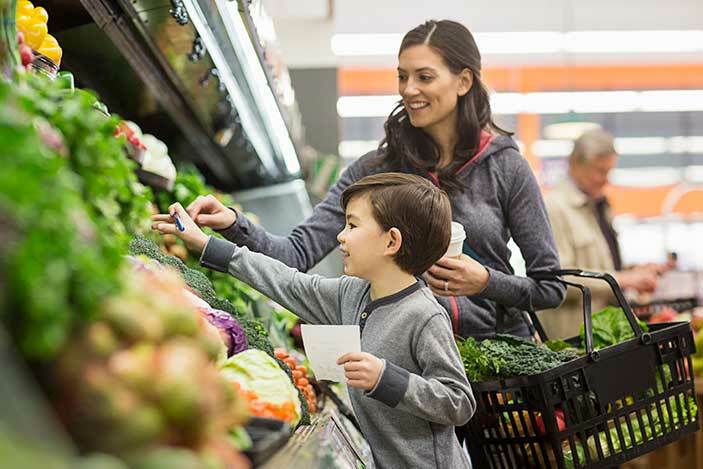 More evidence that a whole food plant-based diet is the best way to get your kids off to a healthy start in life! Dr. McDougall says that plants are loaded up with iron from the soil and there should be no concerns about any kind of deficiency with this mineral. Brains are comprised of fatty tissues, and kids’ rapidly-growing brains do require the essential fatty acids omega-3 and omega-6. When it comes to these fatty acids, McDougall says, it’s actually only plants that can synthesize them. While it’s true that animals such as fish transform these essential fatty acids into other fats into derivatives such as EPA and DHA, kids’ bodies can do the same conversion and no animal products are needed. Although it’s rare, there is a very slight risk of vitamin B-12 deficiency with kids on a plant-based diet, and according to McDougall, a daily 500 mcg B-12 supplement is suggested. Children who are raised on healthful vegan diets have a reduced risk for heart disease, cancer, obesity, diabetes, and other conditions. Adolescents raised on a plant-based diet often find they have an easy time maintaining a healthy weight. They also have fewer problems with acne, allergies, and gastrointestinal problems than their peers who eat animal products. 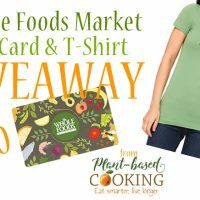 … Children who eat a plant-based diet limit foods high in saturated fat and cholesterol, which can contribute to heart disease. The paper states that requirements for key nutrients such as protein, essential fatty acids, iron, zinc, iodine, calcium, and vitamins D and B-12 can all be satisfied through food although in some cases supplementation or consumption of foods fortified with certain nutrients can be helpful. 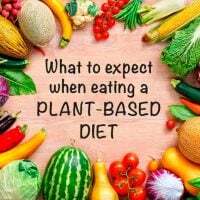 And if you’re just getting your kids started on a plant-based diet, you won’t want to miss our next article where we discuss great strategies for helping them adjust to a new, healthier way of eating. *This post contains an affiliate link. 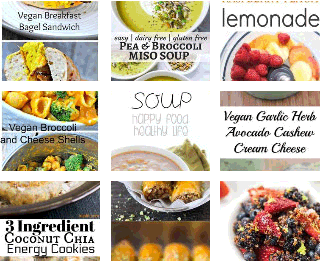 Anything you purchase will help to support Plant-Based Cooking at no extra cost to you.